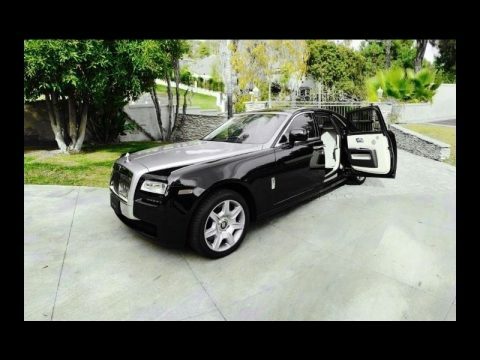 2011 Rolls-Royce Ghost for Sale in San Juan Capistrano, CA 92675 2011 Rolls-Royce Ghost Sedan with Only 20k LOW Original Miles and all the Right Options! ALWAYS KEPT IN GARAGE...NO ACCIDENTS...VERY CLEAN This Ghost is a California Car with a Certified Clean CarFax Report and is in Excellent Condition both inside and out! Diamond Black Metallic Exterior over Light Creme Leather Interior. HUGE $300,000+ Original MSRP and Fully Loaded with all the Desirable Options including: Driver Assistance 3 PackageDriver Assistance 1 PackageRear Theater Configuration with Rear Seat DVD EntertainmentFront and Rear Camera SystemComfort Entry SystemPanorama SunroofFront and Rear Ventilated SeatsIndividual Seat Configuration Adaptive HeadlightsRear Compartment Coolbox, Rear Picnic TablesSatin Silver Bonnet FinishExtended LeatherChromed Visible ExhaustPiano Black Interior TrimContrast StitchingContrast RR Monogram on all HeadrestsRR Inlays to Door OpeningsNight VisionAdaptive Cruise ControlLane Keep AssistHeads Up DisplaySurround View CameraPark AssistElectronic Trunk Closerand so much more! Don’t miss out on this incredible opportunity! Call 402.502.8385 for more information.ATTENTION BUYERS *Caveat Emptor* Please Remember to Inspect Aircraft Prior To Purchase!